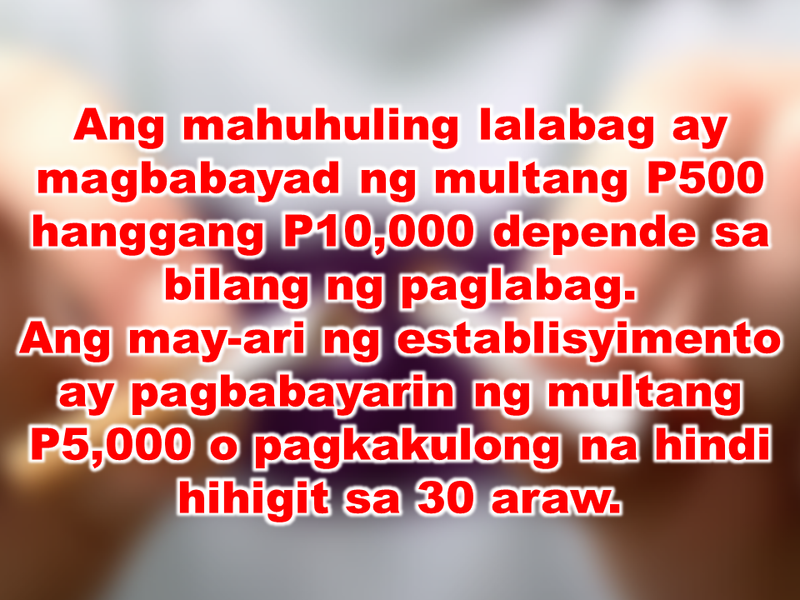 The effectivity of the Nationwide Smoking Ban or E.O. 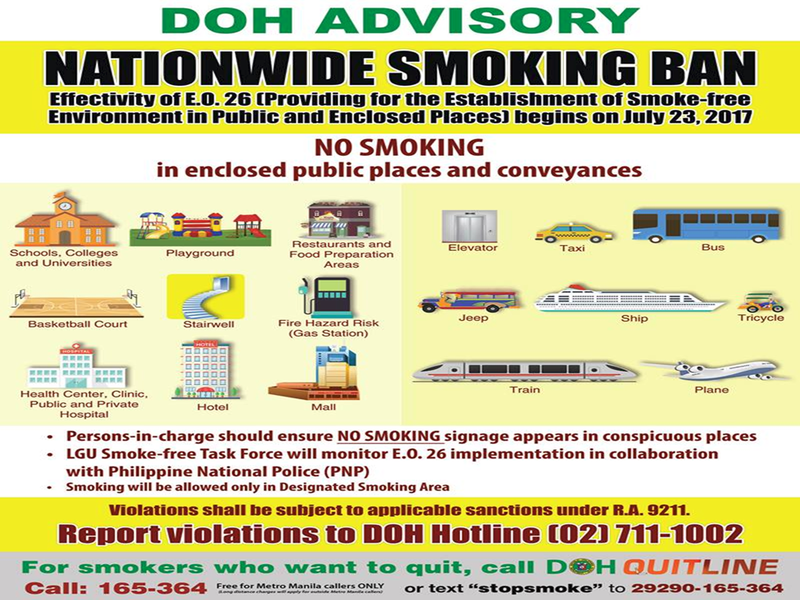 26 (Providing for the Establishment of Smoke-free Environment in Public and Enclosed Places) has started today, July 23, but only a few seems to be aware of it. 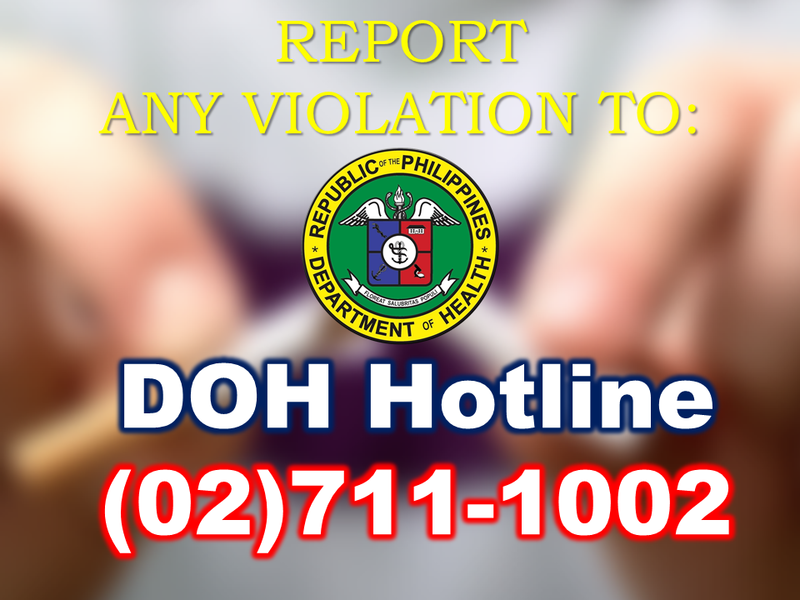 President Rodrigo Duterte signed the Executive Order 26 with the citizens health in mind. 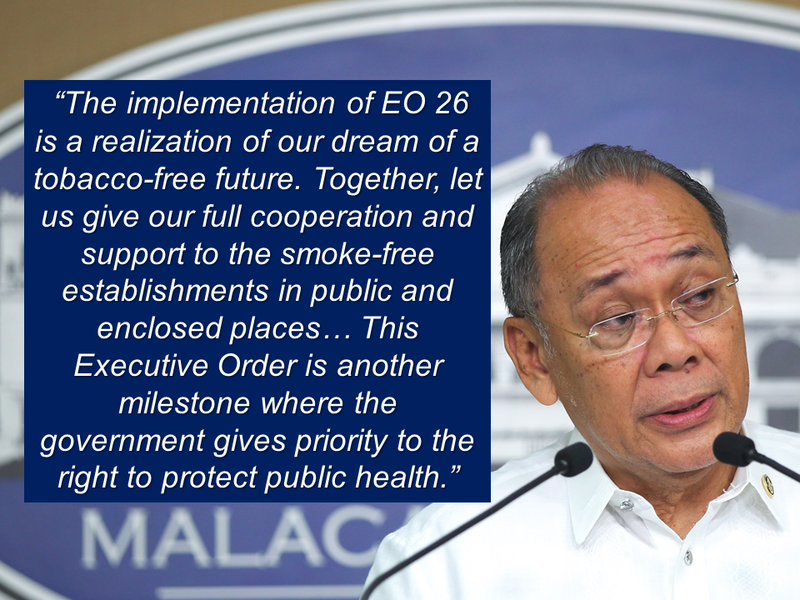 Presidential Spokesperson Ernesto Abella said the executive order is a milestone where the government prioritize public health protection. 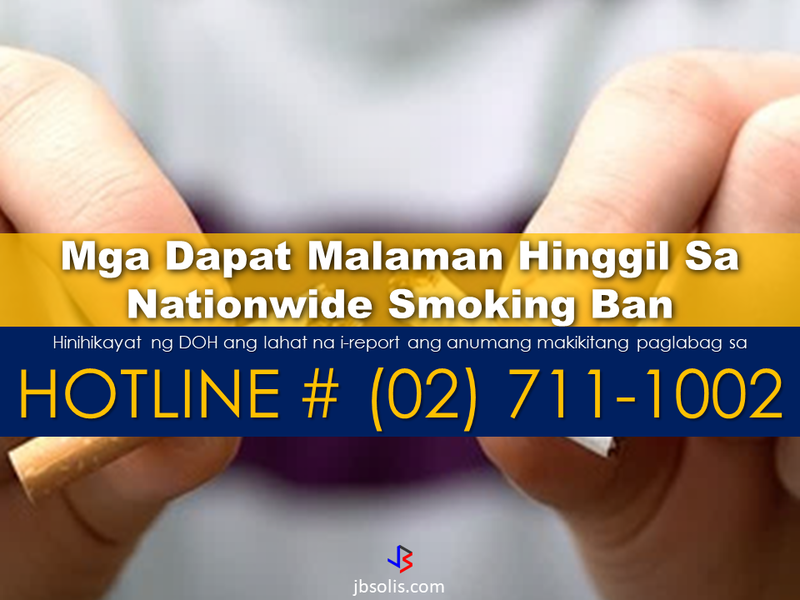 The smoking ban includes smoking in places such as schools, universities and colleges, playgrounds, restaurants and food preparation areas, basketball courts, stairwells, health centers, clinics, public and private hospitals, hotels, malls, elevators, taxis, buses, public utility jeepneys, ships, tricycles, trains, airplanes, and fire hazard places like gas stations.